Few pairings satisfy like a briny, freshly shucked oyster and a cold adult beverage. Cleveland might not be close to where the delicious, beautiful bivalves call home, but a handful of trusted local seafood purveyors and restaurants take care of that by shipping them in every day. And bless them for that, because oysters hit a happy hour sweet spot: snack-sized, light, and a complement to what you're drinking, if you're doing it right: think stouts, saisons, light IPAs, champagne, or Muscadets. Plus, you get to feel a little fancy. Perched in a modern building on the east bank of the Cuyahoga River, Zack Bruell's seafood restaurant quickly, and unsurprisingly, joined the A-list of Cleveland restaurants after debuting in 2015. With a view to match the menu, Alley Cat marries atmosphere and food with precision. Step up to the bar during happy hour (3 to 6 p.m. daily) for $2 oysters, $5 oyster shooters or an order of crispy oysters for $8. 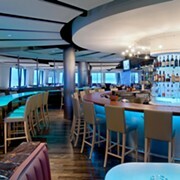 Select beers are only $3, select wine $4 and select cocktails $5. Down Tremont way, grab $1.50 Blue Point oysters on Tuesdays along with a $5 glass of Prosecco. 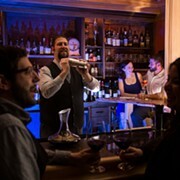 This Warehouse District mainstay offers one of downtown's more decadent and rewarding happy hours on Sundays from 4 to 8 p.m. and Monday through Friday from 3 to 6 p.m. 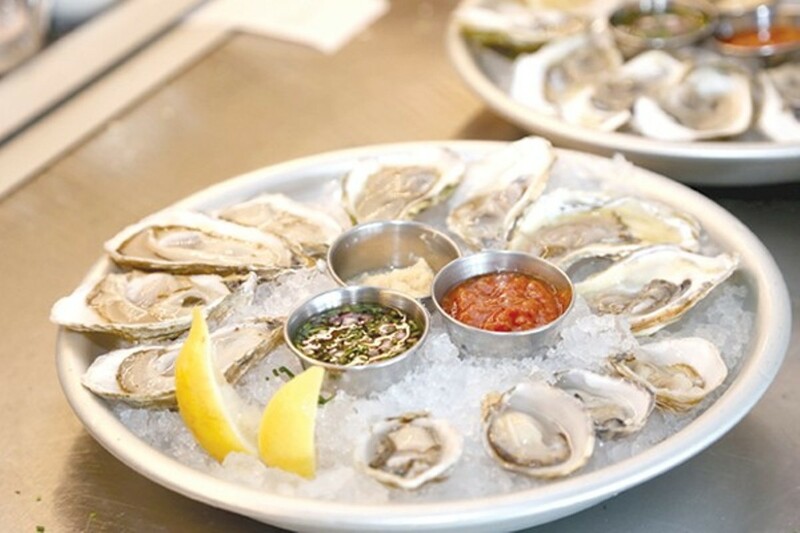 Grab six oysters for $8 and pair them with one of Blue Point's $7 cocktail specials. If happy hour is meant to be a relaxing diversion, there's no better spot than Porco to feel like you've been transported from your daily grind and into a tropical paradise. Wednesdays are yacht rock night at this Polynesian oasis, with a raw bar stocked with oysters to go along with your potent, colorful cocktails. Bring an appetite, and your own Hawaiian shirt. You could do worse than heading to the Butcher and the Brewer for happy hour, where you can enjoy the sights and sounds of East Fourth in a bustling, light-filled setting. Oysters aren't discounted, but it's hard to pass up their rotating selection in one of the chef's compositions — options like chorizo butter cilantro, sriracha lime butter, or house beer vinegar. There's something reassuring about dining in a market setting like Astoria. Just feet from where one sits are coolers, bins and shelves filled with gourmet food products from around the globe. More than just show, those very items form the backbone of the Mediterranean lunch and dinner menus. Oysters ($2.50 for a Blue Point, $3.50 for a French Kiss, topped with lemon, champagne mignonette and harissa sauce) aren't discounted during happy hour (3 to 6 p.m. Tuesday through Saturday) but the booze and beer are. Try a Mediterranean lemonade ($6) or grab a 20-ounce Stella ($4) and dig in. The cozy lounge area of the Urban Farmer is a fine place to post up for happy hour where, despite not being discounted, the oysters ($4) are still delicious. 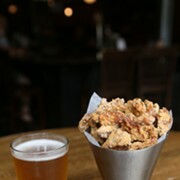 The otherwise robust happy hour menu sports $5 to $6 cocktail, wine and beer specials, as well as small bites like chicken wings and deviled eggs for about $5.